This post has been sponsored by Pindar Vineyards. The following message is intended for an audience 21+ and all opinions expressed are my own. Please enjoy responsibly. 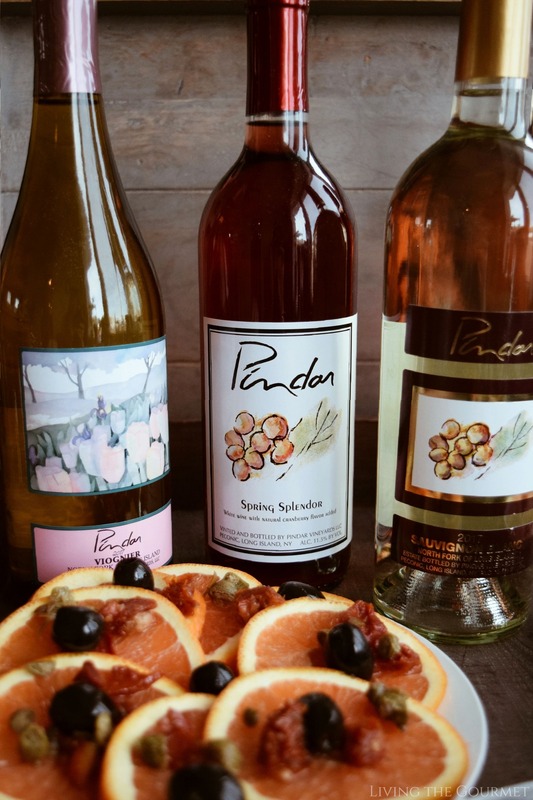 The last time I spoke about Pindar Wines, it was in my brief series covering Long Island wines, in which I ended up giving a rather sharp indictment of my local weather of all things. It was late summer, and I wanted to “go local” for some seasonal wine pairings, and dig into the success of Long Island wines despite less than ideal local conditions. 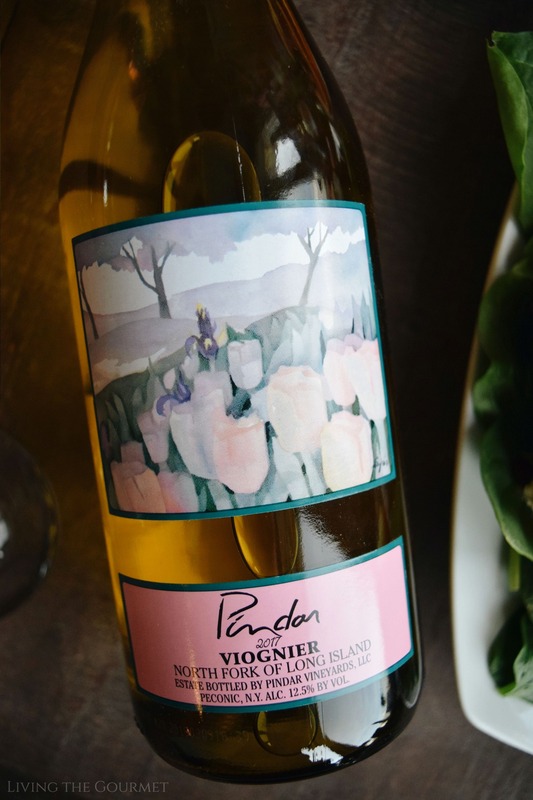 This year, my friends over at Pindar have kindly supplied several bottles to help kick off my Spring Season wine menu and pairings – and that’s precisely what we’re going to do. When it comes to wine, I find myself in somewhat of the same mindset. Now, while I’m always game for a decent Sagrantino or Sangiovese, and while I’m ready to go with my Sangria recipe from almost the instant the winter’s last frost has melted away – once again, this ‘in between’ season simply must be given its due. And that’s how I put together today’s Mediterranean-Style Nori Rolls. At first glance, these don’t break the traditional recipe all that much. You still have your standard cucumber shreds, avocado, pickled pink ginger, carrots, and spinach. However, we’re adding in capers, caper juice, anchovies, sundried tomatoes, and smoked salmon, while leaving out any combination of tahini, rice wine vinegar, sprouts, and honey. 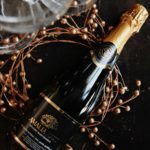 For the wine pairing, I wanted something that would be neither overpowering nor overly intense, something that would instead complement the scenery and flavors, something that charms its way into the limelight rather than demanding to be the center of attention. 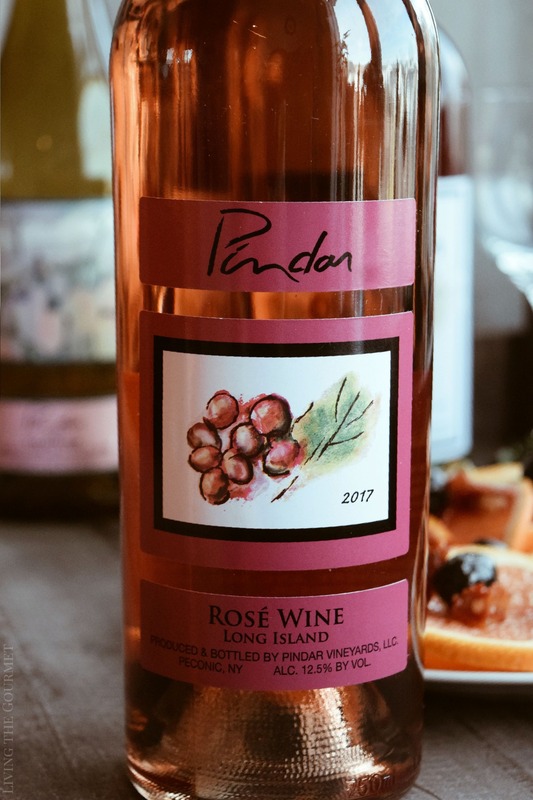 First up we have a rather unorthodox bottle – befitting an equally unorthodox recipe – Spring Splendor by Pindar, which has been fermented with natural cranberry flavor. To be perfectly honest, I am always suspect of wines that add in flavor. As evidence, I haven’t featured any for several years now, not since I reviewed Christina Milian’s flavored Viva Diva sparklers in 2015, which were simply too much fun to pass up. That said, Pindar’s Spring Splendor is a very pleasant. 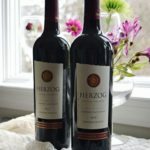 Aesthetically, the wine introduces itself with a roughly cranberry-juice color hue, and off the top of the glass the wine is quite tart, with sweet fruit notes perforating through every now and again. On sipping, thankfully, the wine lacks the ‘drying’ feeling that cranberry juice gives the mouth. 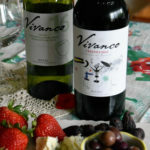 Instead, the wine features a refreshing mouthfeel with just a hint of characteristic cranberry tartness, carried on a sweet profile of red berries. For this particular bottle, I’m going to say this is the sort of wine you’ll want to serve outdoors, preferably chilled, with light-bodied foods, or just on its own. Light barbeque, seasonal fish, and fruit salads are all candidates for pairing. Up next, we have 2017 Rose. The wine features a delicate garnet hue. Of the top of the glass, the wine greets with hints of sliced ripe plum and peach, carried on tropic fruit notes. On the palate, the aromatics largely carry over, think mixed summer fruit notes such as berries, and ripe yellow plum. For pairing, this is where my Mediterranean-Style Nori Rolls come in. You want light food, but you don’t need to shy away from full, complex flavor profiles. Beyond that, think light white bodied fish, braised chicken. Salads would also serve nicely, you could even pull off a warmed salad toped with roasted nuts and a light lemon vinaigrette. Next up we have a Viognier. To start, viognier grapes tend to produce abundant aromatics, and a full-bodied wine, with the prime examples of this varietal being produced in the Rhone valley. 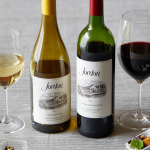 While this varietal tends towards honeysuckle and peach bouquets, and full-bodied wines with moderate acidity, I myself have sampled excellent viognier with unusually strong acidity. Now, while full-bodied wines tend to be easier to pair, viognier often requires a more thoughtful approach, one tailored towards its telltale aromatics. Today’s viognier is, thankfully, ‘characteristic.’ Its aromatics slant towards white, juicy fruit and crisp melon essences framed in white floral notes. Lemongrass or honeysuckle linger in the background, while peach essences manifest every now and again – though more as afterthoughts then as defining characteristics. On the palate, the wine was citrusy, with a mellow-to-moderate acidity. For pairing, you can go a couple of ways with this particular bottle. One the one hand, super safe pairings like grilled chicken over salad would pair deliciously, while on the opposite end of the spectrum you could pair it with something like brie baked with honey, or a warmed romaine salad with a balsamic vinaigrette. Lastly, we have a 2017 Sauvignon Blanc. The wine features fresh citrus and lime zest off the top of the glass, with hints of fresh herbs and just a hint of jalapeno off in the background. On sampling, the aromatics largely carry over, with a tad bit more acidity than the citrus-lime dominated aromatics would suggest, creating a very crisp and clean mouthfeel. For pairing, think leafy green salads. 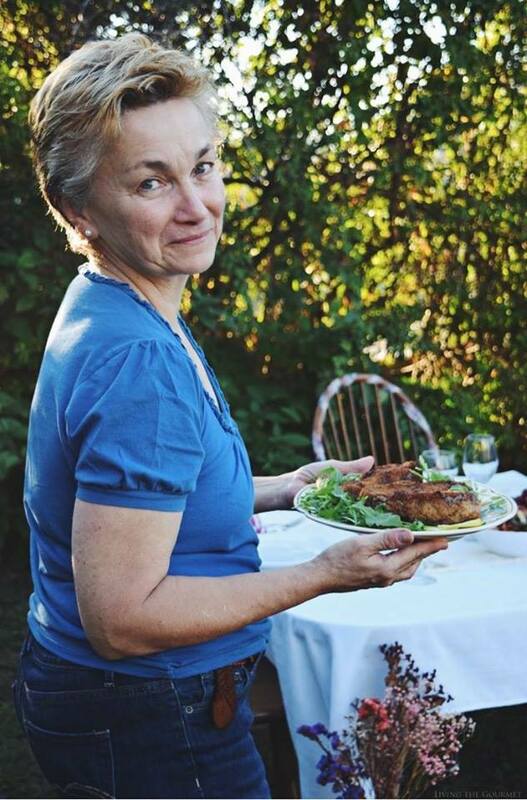 Think arugula and goat cheese, romaine and herbed vinaigrettes, or warmed salads with oil and roasted nuts. If you ‘must’ pair this with entrees or meat, tend toward light white meats such as grilled chicken, thinly sliced pork, or mild white fish – and in each case think mild marinades and herbal flavors. And there you have my first round of wine suggestions for the spring season. These bottles are perfect for midday gatherings, outdoor lounging, or enjoying a long spring evening. repare the sticky rice as directed. 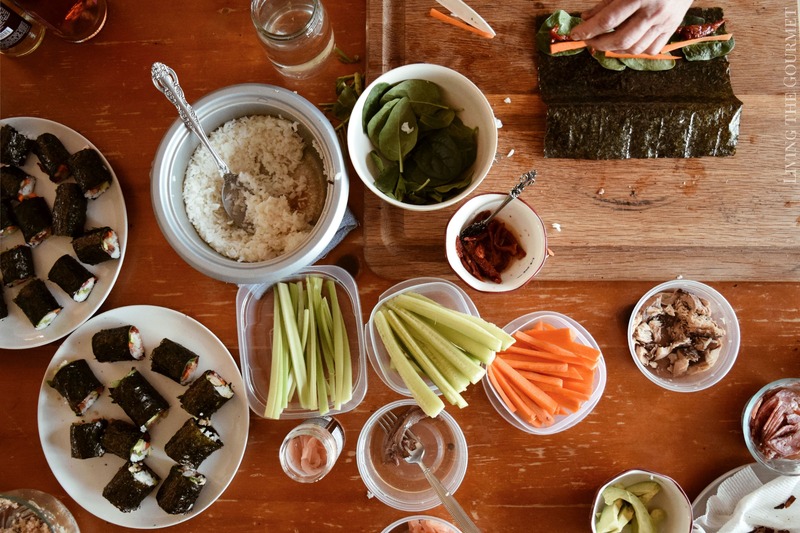 Place a cup of water at the preparing station for the Nori rolls. 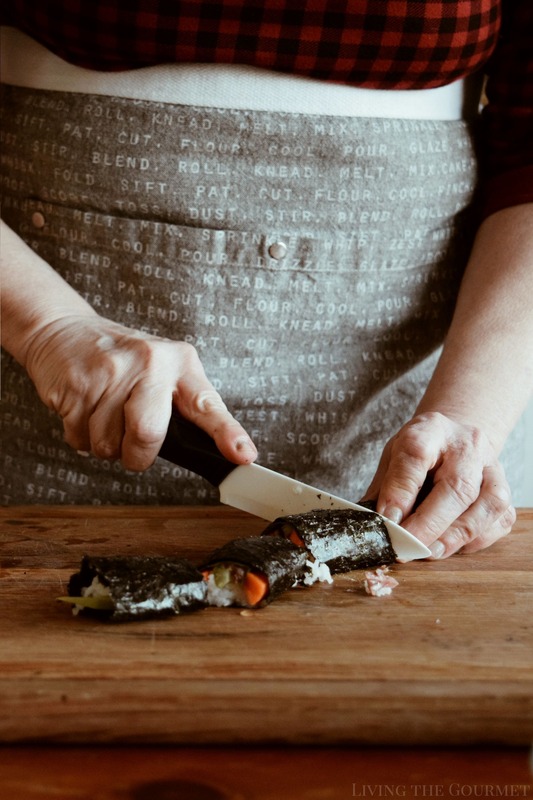 Place a sheet of Nori on a flat surface. Sparingly, dampen the end of the Nori. Place the desired ingredients at one end of the Nori, being careful not to overstuff the Nori. 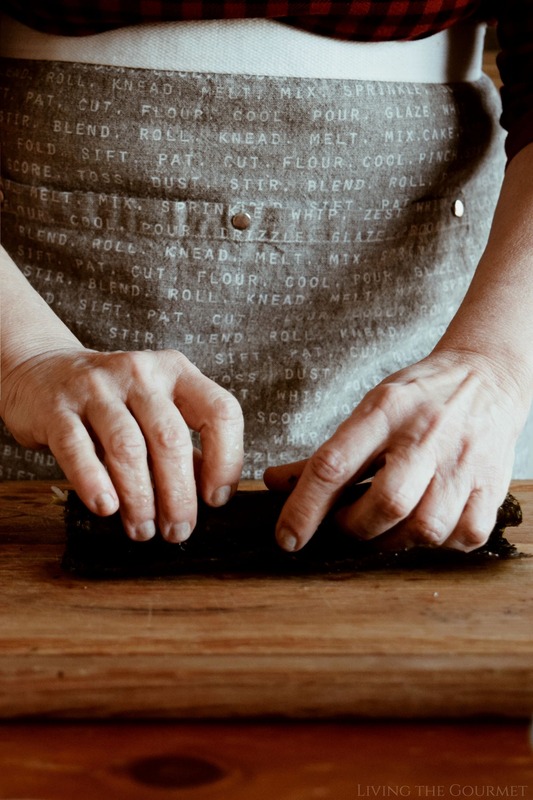 Begin rolling the Nori, then using a sharp knife slice into three pieces. Naturally, I would like to give a big thank you to my friends at Pindar for the samples, and if anyone’s interested in checking them out, head over to www.pindar.net. 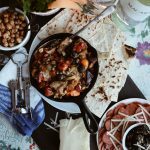 Love Mediterranean flavours! These nori rolls look delicious and healthy too. 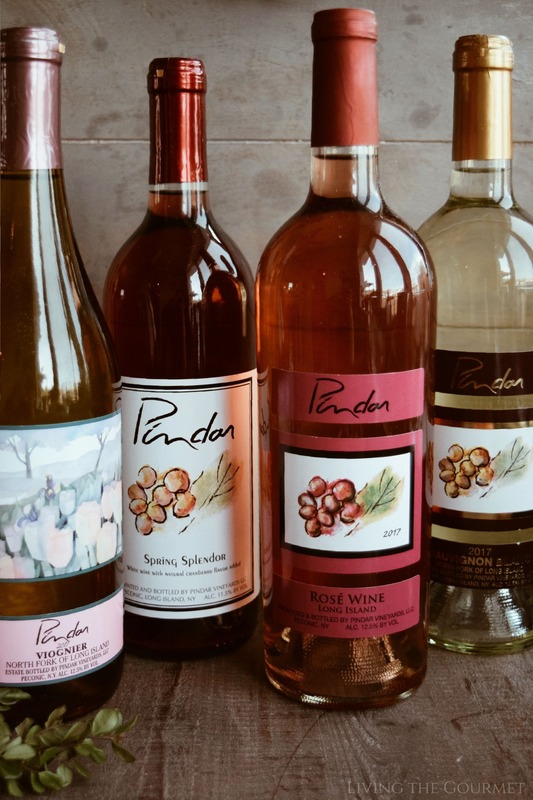 I love trying new wines, so I will definitely have to check out Pindar! I've never made sushi at home before but would love to try it! Yours looks amazing! Ooh! That looks so good. I love this pairing! I want to have this in my life immediately. 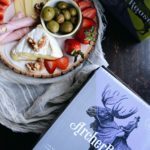 I love wine tasting and food pairings; I'll have to give these a try! I haven't been wine tasting in ages; you have me dreaming of a trip to Napa! What a fun and fresh recipe! I love the Mediterranean flavors put into a roll. So creative! Also, thanks for the suggested wine pairing. 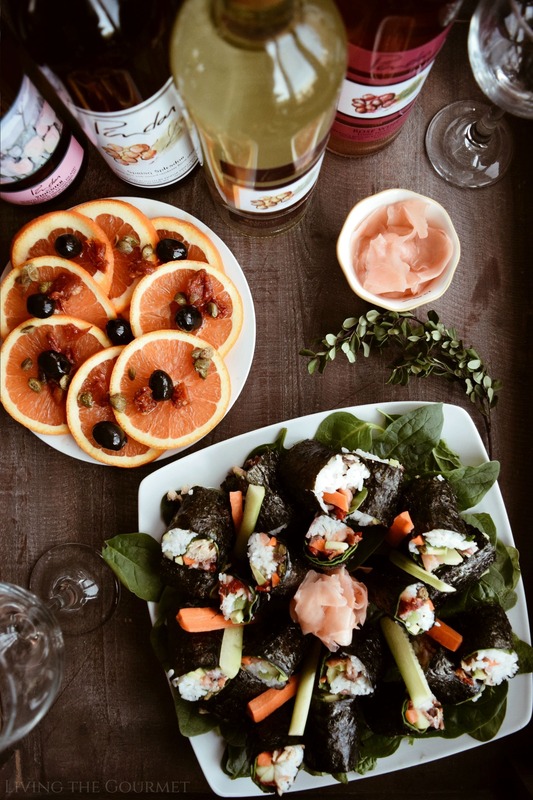 The Nori Rolls and wine look so good! What a very nice pairing. I need to try my hand at making those Nori rolls. I love nori rolls but had never thought to add sun dried tomatoes. What a great way to pair these beauties with a glass of wine! I can pretty much eat Mediterranean food daily. It's my favorite! This looks amazing. Pindar wines definitely sound like must trys! Those nori rolls look super tasty! These wines look great. We're always looking to try some new flavors. Your rolls look so delish too. Hmmm yum! I'm drooling. This looks soooo delicious. Can't wait to try this! I love Mediterranean food. The rolls look so delicious. I am not familiar with these brand of wines but I will look out for them in my local stores. I don't drink much, but you are definitely convincing me to try this wine!! Also these rolls look to DIE for! Such a great match to each other for a amazing drink session at home. 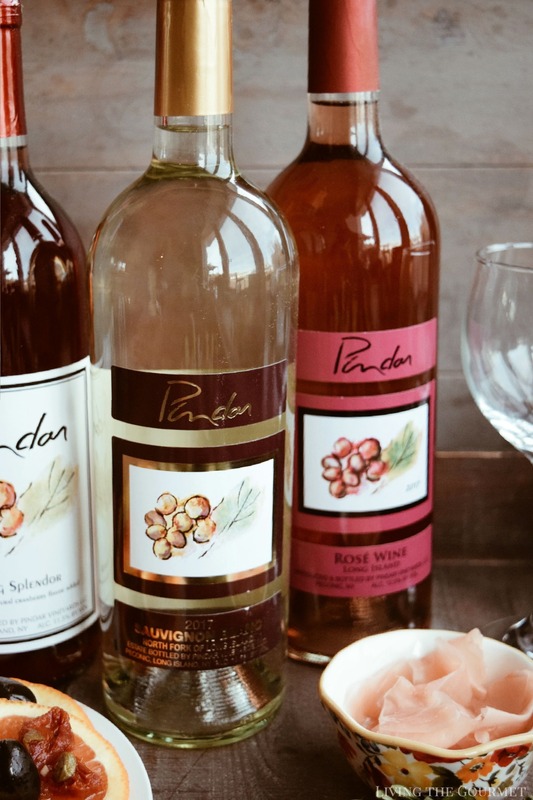 I love Pindar wine, they've produce quality and delicious wine that everybody would love to drink. We love wine and wine pairings. This food looks so delicious. We live in NYC so we will definitely check out Pindar Wines. Oh wow, Nori roll.and wine is such a perfect combination. Will try making this. Oh gosh these pictures are making me hungry! I must try the nori rolls...thanks for sharing!! Everything looks delicious! I am in Greece so we are all for Mediterean diet here! I have never tried nori rolls but I love wine. I would love to try pindar wine. Awesome photography. I hope to visit this vineyard someday. This is such a creative meal idea. I would love to try this sometime. 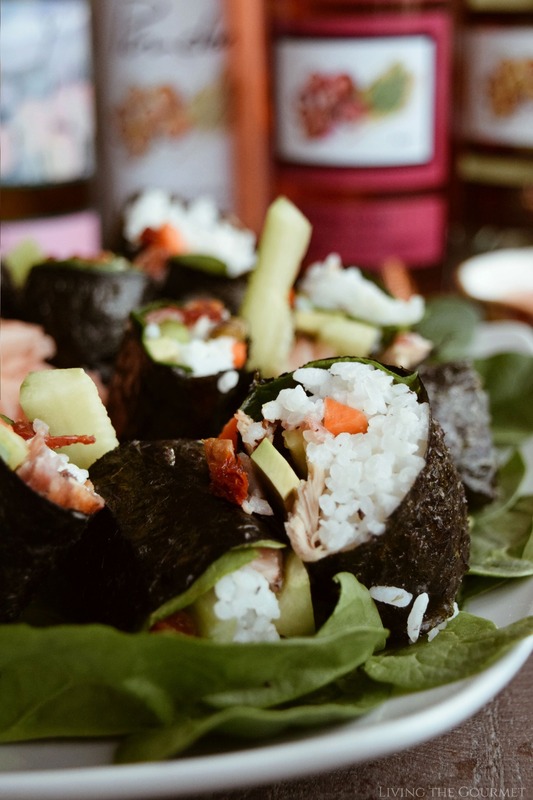 I'm a huge fan of Mediterranean flavours and your nori rolls are looking so healthy and delicious! The pairings with wine sound just excellent, perfect for the warmer days ahead! Any dish paired with wine like this is good in my books. I am going to have to track down these bottles of wine to add to my stash. I am all for the variety of these wine. Perfect for gatherings, dinners, desserts or a girls night end. The food display is perfect! What a fun spin on traditonal sushi!! I always like a glass of wine with my homemade sushi!! Yum! 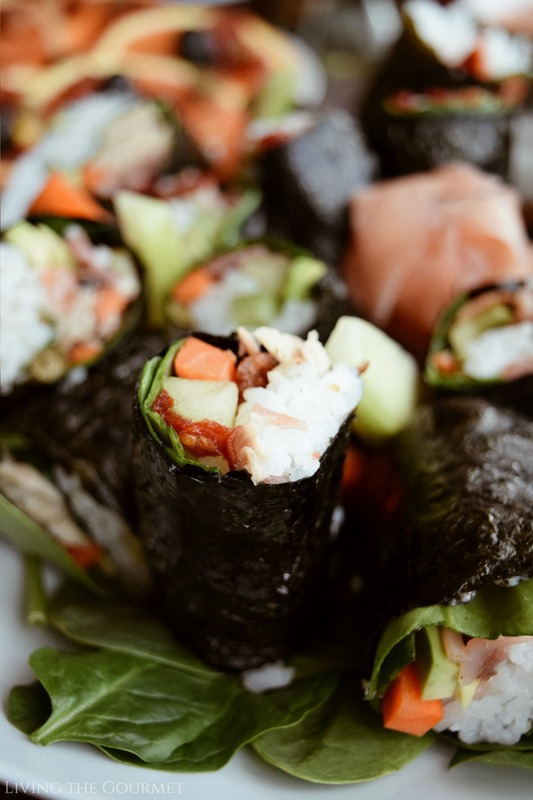 I'm def inspired to make this Nori rolls after reading this recipe. Sounds so easy, healthy and delicious. Just how I love my food! Thanks so much for sharing :). I'm loving this post!! Love the wine pairing with the sushi! And your pictures as so amazing! I've never made sushi, but I'm going to give it a try now! Oh my gosh this looks absolutely amazing! I will have to try this out ASAP.